WITH THE PARTICIPATION OF: Arnaud Chevalier | Eva Beatrice Förster | Roos Hoffmann | Miriam King | Weronika Lewandowska | Jasmin Luu | Cigdem y Mirol | James Needham-Walker | Brendamaris Rodriguez | Katrin Rux | Tyska Samborska | Sophie Terlega | Antigone Theodorou | Alejandro Zertuche. According to G. Marconi (1), a sound never stops to propagate. It means that by emitting a sound we give life to a process that, theoretically, never ends and produces waves advancing in space and time, encountering fluids, bodies, objects and other waves. John Cage closed himself in an anechoic chamber (2), perfectly soundproof, looking for the pure silence. But once adapted to the noise of silence, he started to hear and feel the vibrations of his heartbeat and the flow of his own blood. According to Cage’s experience we could say that where there is life, there is sound. We perceive sound and noise in form of vibration that can stimulate both the thin membrane of our inner ear and nerve receptors in our skin. We can hear the buzz of the hummingbird's wings, feel the vibrations of a pneumatic hammer on our chest, be woken by an alarm clock, follow the sound of a voice, enjoy the silent atmosphere of a natural environment -like on a mountain -, or the rhythmic repetition of the waves -like on a shore, or tremble, without knowing it, to the rhythm of a washing machine. Actually, in term of vibrations, we can hear or feel a sound all over the body. We can be touched, caressed, even overwhelmed by a violent sound, or by a light vibration. In everyday life we are like a surface which unconsciously collects vibrations of every nature and kind. That's why we need to be able to listen: with the entire body. A wooden fish is a percussion instrument with sacred features in Eastern religions and cultures, – which is a curious thing, because the fish (no mention of Mammals) is the best known example of dumb animal, which produces no sound. Perhaps it is because silence is a pre-condition for the occurrence of the sound and listening to it, that in certain temples they start praying hitting the symbol of silence itself: the fish, the muteness. Between the necessary presence of the silence and the chaotic symphony of everyday life, every culture finds ways to play that symphony, or listen to it, and every person can play the body itself to the rhythm of that music, or can even play that music through her/his body. Whatever way we approach the theme of the sound, it interrogates us on the level of consciousness of our perception, and on the dominance of some senses compared to others, revealing the potential of listening as a means of interpretation, communication and action in relation to the environment and people around us. “Shut your eyes and see”, wrote Joyce in his Ulysses to let Stephen Dedalus hear and perceive beyond his eyes, walking on a shore. (3) CREAKING WOODEN FISH will take place in May on the shore of the Venetian lagoon, where we continue to explore these and other topics, and stimulate further our curiosity, offering an occasion of researching the relationship between body and sound. (1) Guglielmo Marconi is known for his pioneering work on long-distance radio transmission. He is often credited as the inventor of radio, and he shared the 1909 Nobel Prize in Physics with Karl Ferdinand Braun "in recognition of their contributions to the development of wireless telegraphy”. (2) An anechoic chamber (an-echoic, meaning echo-free) is a room designed to completely absorb reflections of either sound or electromagnetic waves. (3) “Shut your eyes and see… Stephen closed his eyes to hear his boots crush crackling wrack and shells… A very short space of time through very short times of space...Exactly: and that is the ineluctable modality of the audible.” James Joyce, Ulysses, Episode 3 - Proteus. PAS | Performance Art Studies is an independent educational program offering intensive studies to young artists, art students and others interested in performance art, since 2008. 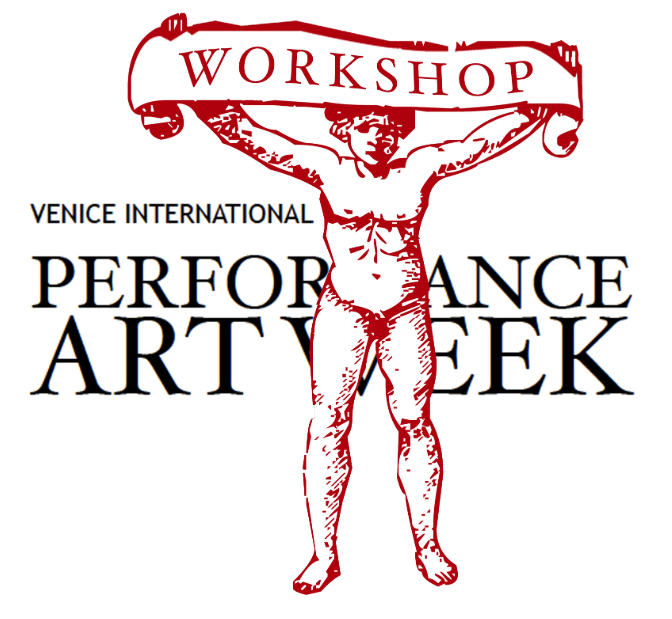 The aim of these studies is to provide the participants with a comprehensive form of teaching on performance art, everywhere in the world and always in cooperation with performance art festivals, art academies, museums and galleries. Facilitated by BBB Johannes Deimling and Francesco Kiais.